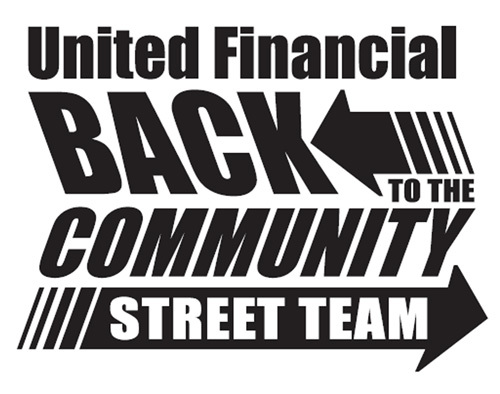 United Financial Credit Union > Community Involvement > Back to the Community Team! Back to the Community Team! Look for logo items for sale, bake sales and more at our offices! We are currently selling Pom Poms in different local school colors, purple travel mugs, water bottles, hats and candles for sale at each office! All proceeds will go “Back to the Community”!! Saginaw Sting – Covenant Kids – Junior Achievement – Children’s Miracle Network – MDA – MS Walk – Cystic Fibrosis – Auburn Corn Fest – Chesaning Showboat – Freeland Walleye Fest – Saginaw Soccer Complex – Auburn Treasure Hunt Days – Child & Family Services – Saginaw Spirit Adopt a School – Habitat for Humanity – CAN Council – Party on McCarty and so many more! !